Gluten-free Valentine’s Day cards, plus a mini kid-size giveaway! My favorite site for coloring pages and cards is Activity Village. They’ve got everything imaginable except for gluten-free cards (in fact, I couldn’t find any anywhere) so what else could I do but create my own? I pulled out my old marker pad and pens and went old-school for this post, drawing everything by hand. (I had to get off the computer for a few hours!) 🙂 So what I came up with is 4 little Valentine’s Day cards (with the help of dear ol’ Mom who helped me come up with some wording) — made especially for all the g-free kids out there. You can download the PDF here: 4VcardsHR, then print out copies of it for your kids to color, glue onto colored construction paper and give out for Valentines — or just hang in their room or on the fridge. Please let me know how your children enjoy these…I would love to hear what they did with their cards! (*Please note: the below preview won’t print out large enough — click on the blue link four lines above this for the printable PDF). Next up are some wiggly, jiggly jello ideas for Valentine’s Day. 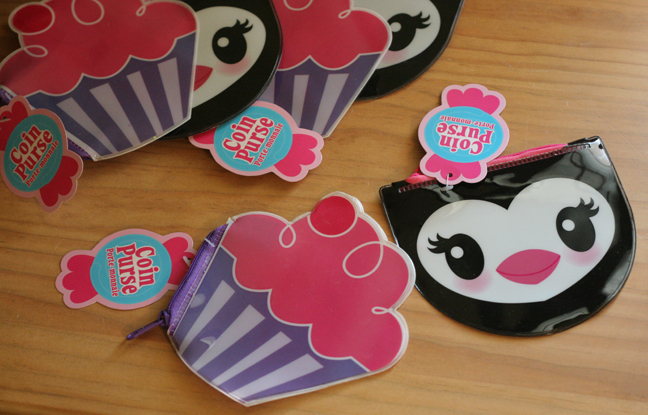 Keep coming back for more things for g-free kids, and don’t forget to check out the photo album and kids’ stuff page! This entry was posted in awareness, fun for kids, giveaways and tagged cards, celiac, giveaway, gluten, gluten free, kids, printable, valentines by kachalmers2. Bookmark the permalink. I’ve come across your website looking for ideas for my kids. Your site has been great to help me out. I like finding fun things for the kids lunches. Gluten free and dairy free recipes are what I search for. 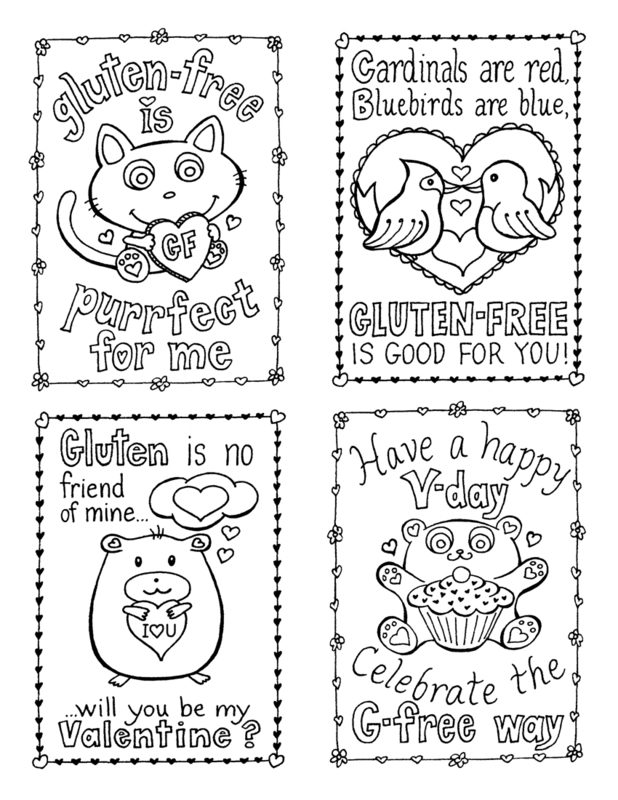 Thank you for the valentine cards…gluten free too! What a wonderful site you have created here! Love the resource page that has links to other celiac things and we will certainly making the marshmallow treats to send to school. We will be printing out the color pages as my 6 year old can spend hours coloring and how great that they are gluten free. Oh my i love this site so much. I was diagnost with gluten intolerance 6 months ago at the age of 30 and i was so depressed. i quickly learned that being gluten free is not a big deal at all. there are so many healthy options out there. as a teacher i have many students that are gluten free and their parents are struggling to understand the disease. i have become their biggest resource and i love to teach them that living gluten free is really no big deal. i have shared this website with all my families. for our upcoming valentines day party i have passed out articles to ALL my families and we are having a totally gluten free party! all the parents were totally supportive and through this website they were able to come up with treats to bring in to share with the class. thank you for making this wonderful resource for others. I like this site because not only is it good ideas for the kiddos but from the grown ups like myself! Love reading what all you have! I too love your site because it is geared towards kids with celiac. There are tons of sites for adults but nothing for the little ones. Thanks for what you do! I love that this site is dedicated to kids! A lot of the other websites are more geared toward adults. Its great to get ideas of activities and food for kiddos! My two year old son is the only one in our family with Celiac. I am working hard to make sure he has everything he needs- GF food and support. This site is awesome because it really addresses issues that are specific to him as a child. There are many great resources out there but I often find they are geared more toward adults. They will be great later on but right now we are going through toddlerhood (and all the stubborness and tantrums) gluten free. It is hard enough to get him to eat GF chicken nuggets or mac n’ cheese let alone quinoa or veggies! Candy coated marshmellows? No problem. 🙂 Thank you so much for this resource. We will be using it! So helpful!! My daughter was thrilled about the GF valentines. We immediately printed them off and she’s coloring them right now. One will go to her fellow GF teacher and others to her friends. I also appreciated the link the list of safe candies. That seems to change so frequently that it was nice to have a site reference for something that’s current. Keep up the good work!! I put your site in my favorites section. Thank you so much for having a site that not only gives great ideas for the kids but is also helpful for the parents too! Kimberly, Kim and Renee: Thanks for your kind comments as well, and welcome to this site! I love this website because it givens me a sense of comfort. We are new this this lifestyle becuase my daughter was just diagnosed in Jan, 2012. I love looking at all of the food suggestions too. I am so glad that I am not the only one out there and there are websites like this one to help me along in our own adventure. I enjoy your website because it gives me hope that my Celiac daughter, Ruby, CAN lead a normal life in a non Gluten free world. The hints and tips on your site make an invaluable tool in helping me, Rubys mom, to guide her through her Gluten free life, knowing that she’s NOT all alone. Thank you! Love your recipes & cute ideas!! We love the recipes on your site. Michele- Welcome, and thanks for the wonderful comment — you made my day! Tammy, Emily and Tracy- welcome to the site and thanks for commenting!